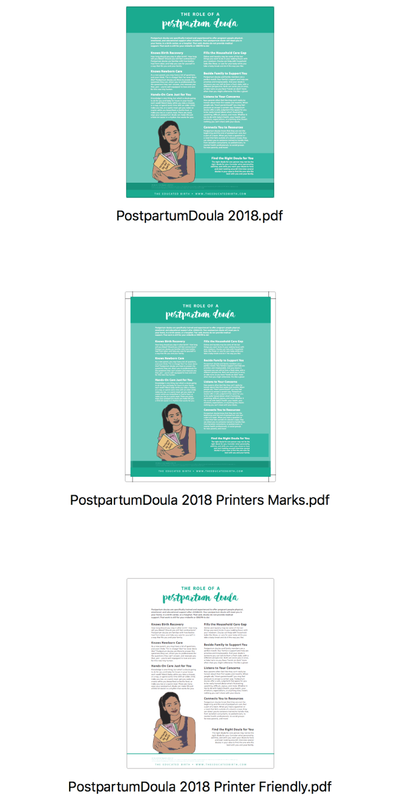 Resources to help you get the most out of your The Educated Birth materials! Digital items in The Educated Birth Shop are available under two licensing options. Licenses outline the rights that the purchaser has when it comes to using the purchased items. Is there a difference between the Basic and Extra Use Licensed materials? No difference in content! Same materials, just a different set of permissions for use. When I purchased from The Educated Birth the options were Standard and Extended. Is this the same as Basic and Extra? Yep! The language has shifted for simplicity and clarity's sake. If you have any questions about this, just contact me via hello@theeducatedbirth.com and I'm happy to talk! If I purchase a Basic License now, can I upgrade to an Extra Use License later? Yep! I'll just subtract the cost of your first purchase from the Extra Use purchase. You'll pay the difference and you'll have the receipt that says you've purchased the Extra Use permissions. Does the Extra Use License allow me to use the materials I purchased in a product I have created to sell (ex. manual)? Thanks for asking! Nope. The Extra Use License does not allow you to place materials you have purchased in a new product you are offering for sale. Ex. In a training course, you MAY provide participants with The Educated Birth materials as a resource included in the training, but you MAY NOT place these materials in a manual you are offering to sell to participants. I'm a birth worker with my own business and I partner with a group, as well. Can I use my purchased The Educated Birth materials with clients in both spaces? Thank you for asking! Materials can be used by one person with one business at a time. If you're using the infographic sheets with another group in addition to your own business, that other group should purchase a license as well. See below. We're a group of birth workers! A collective, a nonprofit, a birth center or any other organizational structure. What license option applies to us? Do discount for groups? Hey ya'll! I'm so glad you're interested in using The Educated Birth materials with your community! In essence, you'll be purchasing multiple copies of the materials, using the same licensing options, basic and extra. And yes indeed! I offer license bundling options for groups of various sizes. Contact me via hello@theeducatedbirth.com to discuss what would best fit your community. If I've purchased an Extra Use License to include in my training with other birth workers, can they use the products I provided them? I'm so excited you've found these so useful to share! Under the Extra Use license this purpose is perfectly fine, of course. It'd be most fitting to frame this gift as, "Here are some examples of resources you can invest in for your own birth work practice." Folks should purchase their own license before they start using these pieces with clients. What are the sources for the information in your infographics? Pregnancy, Childbirth and the Newborn: The Complete Guide by Penny Simkin, P.T., Janet Whalley, R.N., B.S.N., and Ann Keppler, R.N., M.N. If you ever have a concern about a cited source, or a piece of information you encounter in any infographic, please feel free to reach out. My priority is always that the information is sound and accurate. Most digital items in The Educated Birth Shop are put together in an organized ZIP file. * Read below to learn more about how to get your use out of them! A normal folder file will appear in the same location as the ZIP folder and allow you to see all contents inside. PNG files and JPG files are created for basic digital use, particularly when a small file size is needed. These are great if you want to send an example in an email attachment or a Word Document. PDF files can be used for digital and print use. But obviously the files labeled Printers Marks and Printer Friendly are meant for printing specifically. EPS files are best for all variations of digital use. Make it smaller or larger and it will keep its quality. Great for if you want to use it in social media or in a powerpoint presentation! *A few digital items in the shop will not come in a ZIP File. Those are likely to be PDFs. I can't find my digital download! What do I do? When you purchase a digital product, you're sent a download link. Once you click the link, you have 24 hours to download the product before the link expires. If you don't download it within the 24 hours, I am able to resend the link, so contact me at hello@theeducatedbirth.com ! 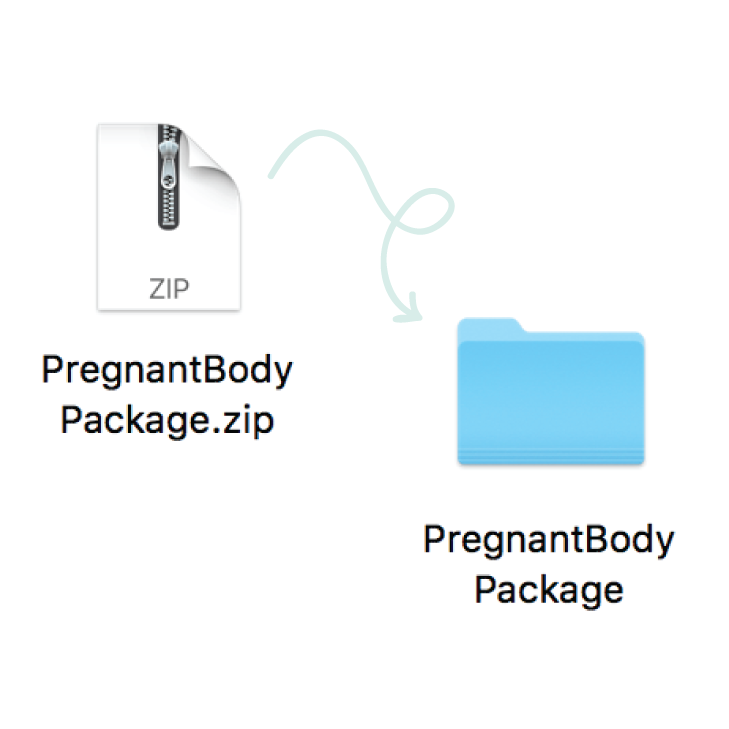 Something seems to be missing or broken inside my ZIP file. What do I do? Contact me at hello@theeducatedbirth.com and describe what the issue seems to be. We'll find a solution! So you have your infographic sheets and now you want to get them printed! No problem! Here are some simple steps for getting there. The Base version of your infographic sheet is meant for digital use. If you try to print this version, it's likely to have some sort of quality issue, particularly pertaining to the margins. The Printers Marks version of your infographic sheet is meant for printing through a service like the ones laid out in the section below, particularly services that will be able to print your project with full bleeds and trim to the edges. The Printer Friendly Version of your infographic sheet is a color-light version meant for printing at home or in your office. It most easily translates into grayscale printing and doesn't require a bleed. The cost of printing can really vary depending upon who you're printing through. I suggest pricing out a few options in your area before getting the job done! Print online through an online service: Online printing services like Vistaprint make it really easy for you to upload your files and get them shipped to you. You can use any of the PDF versions with this option. You may have to pay shipping fees. At the time that I'm writing this, 25 copies cost $19.00 through Vistaprint. Print in your area through a service like Office Depot: Places like Office Depot often provide both online and walk-in options for printing. Talk to them about using the Printers Marks version and customizing your project to print to the edge/bleed. At the time that I'm writing this, 25 copies cost $10.50 through Office Depot. Print in your area through a small, local print shop: This is my preferred option in terms of cost, quality, and customer service! They usually have online forms, or you can call to place an order. They will definitely prefer the Printers Marks Version. At the time that I'm writing this, my local print shop has charged about $0.50 per print, depending on the quantity that I have ordered (larger orders lower the rate). At that rate, 25 copies cost about $12.50 through my local print shop.